Could a husband say any sweeter words to a wife? I think not. These words came to me, in this case, in the form of a text message on a lagging Thursday afternoon as we both grappled with work to-do lists and deadlines. Those words activated an instant butterflies-in-the-tummy, grinning face effect. 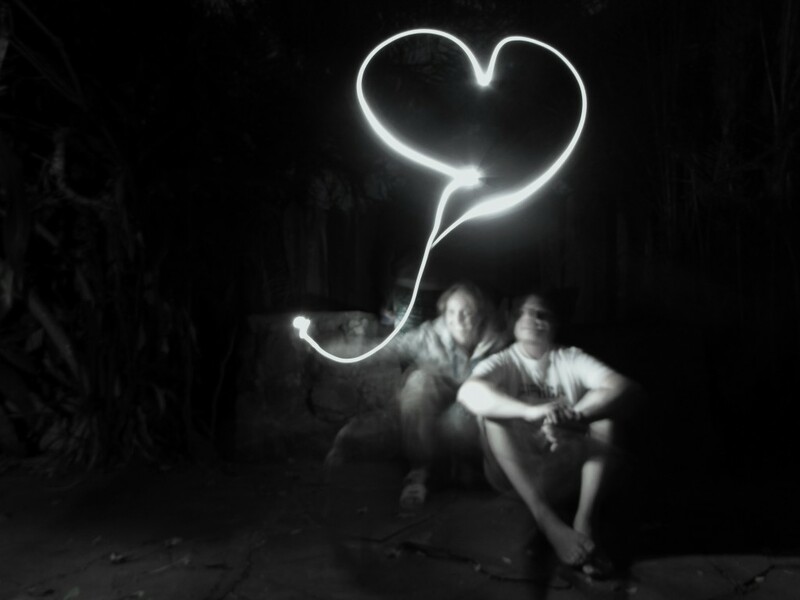 Those words were spontaneity and we embraced them! The best thing about a spontaneous getaway is that you eliminate the “counting sleeps” stage of any holiday planning. When you decide to go away on the spur of the “why-not-moment” there is no waiting for the time to arrive. It is here and holiday mode is yours immediately. Instant gratification is never a bad thing. Once the getaway-spark had been ignited I went into full “make-it-happen- go-mode”. With less than a day before our preferred date of arrival to beach-side bliss, I had to act quickly and find us a base. Our one requirement: it had to be dog-friendly so we could have a proper family escape, Moose, our Staffie fur-baby in tow. He, like us, loves nothing better than a mini break away. Just ask him… or look at the obvious glee in those brown eyes and smiling face when he realises we’re all away somewhere natural and lovely, just for the fun of it. 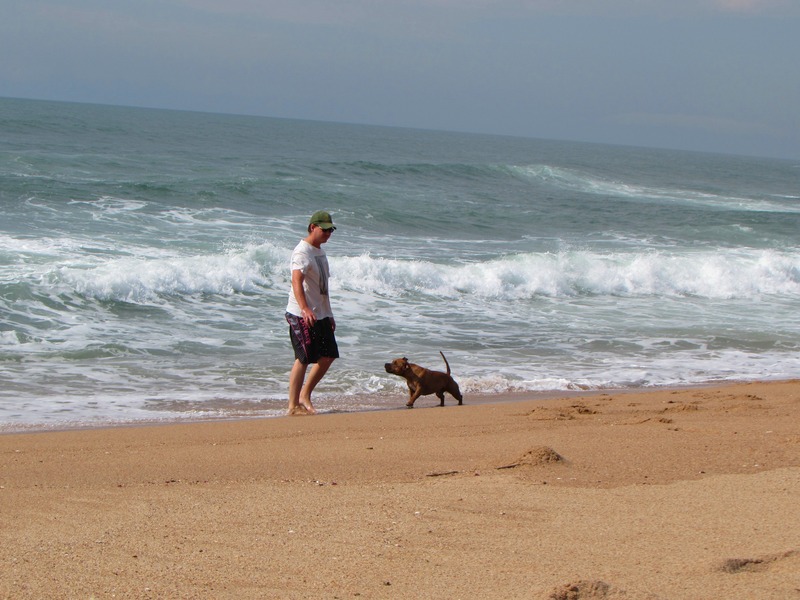 Our favourite KZN beach is Zinkwazi Beach, a mix-tape’s length up the North Coast. 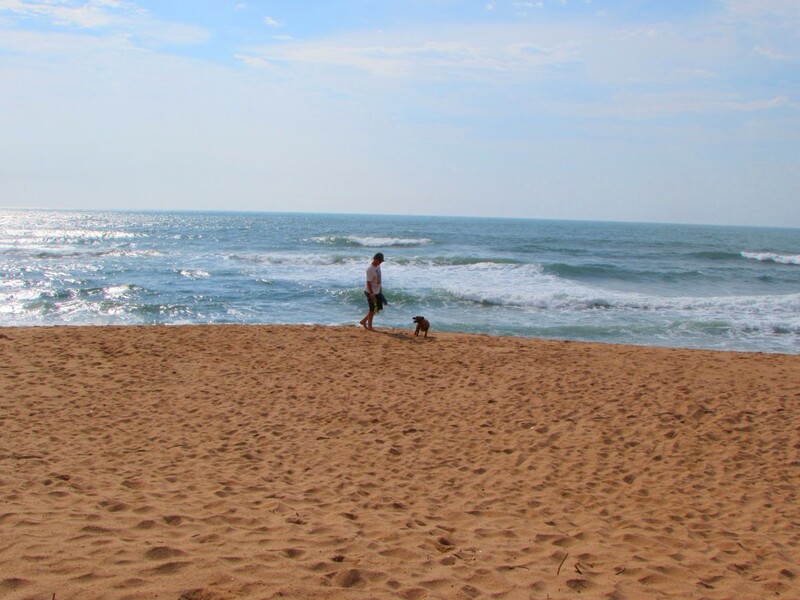 It is the definition of a secluded stretch of wild coastline, especially if you walk away from the main swimming beach; lagoon to your left, moody sea to your right and husband and dog-child close by. The further up that stretch of sandiness we wander, the more wild, free and all-ours it becomes. We regularly make a beach-day of it and head out to its shores but we have never stayed there, and every time we have to leave after a day’s frolicking in the untouched environment, we always mention how we have to come stay over sometime so we don’t have to go home at the end of those days. This was our chance. 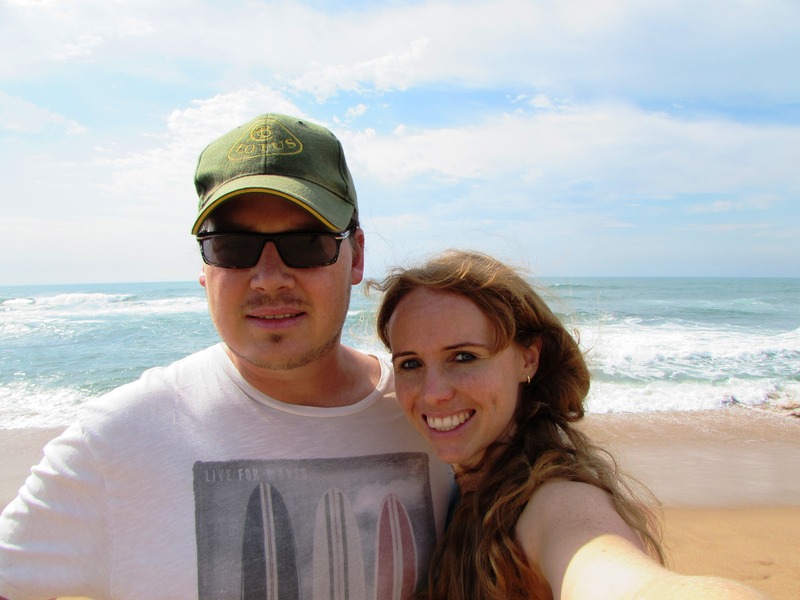 Our beautifully-impulsive getaway idea called for a Zinkwazi weekend away. I called, Zinkwazi Lagoon Lodge, the only accommodation option in town as far as I can tell, apart from holiday-home rentals. 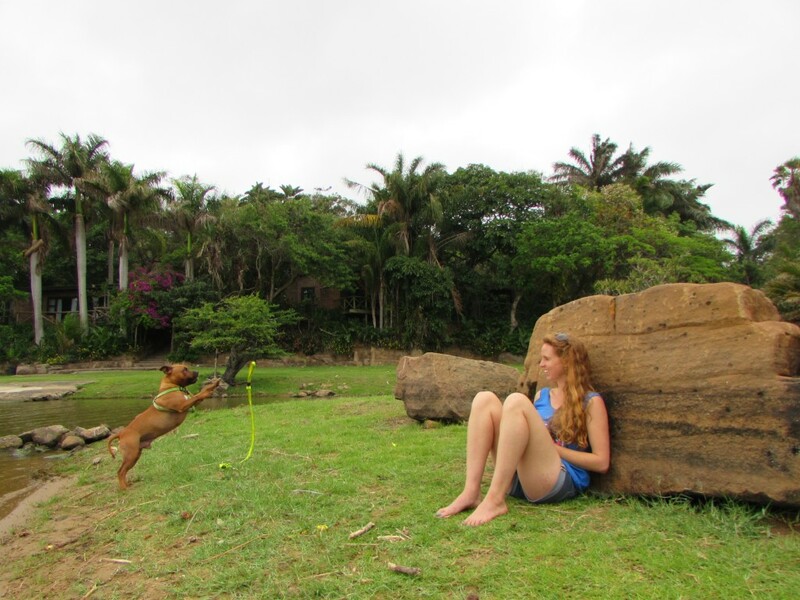 They are an old-school, unpretentious holiday estate set on the banks of the Zinkwazi Lagoon, amidst the most glorious, lush KZN coastal forest vegetation. They had a chalet available for us and were dog friendly so I snatched it up. The next day, after work, we were northward-bound to our beach weekend made for three. 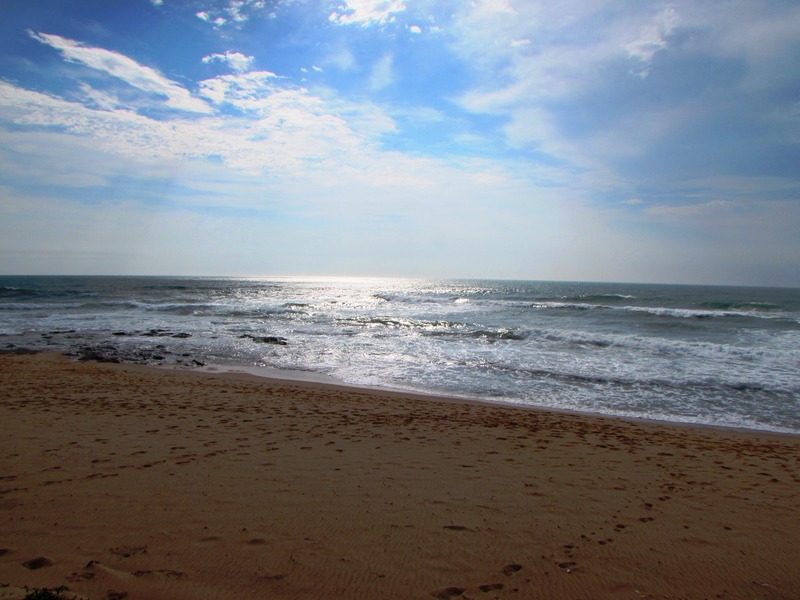 The small seaside village of Zinkwazi is in sugar cane country, about 85 km’s north of Durban. We arrived, as always, by driving passed the cane fields which have a way of giving me that unmistakable KwaZulu-Natal location feeling. Before checking in, we headed to the beach for a mandatory “we are here!” amble on the sand and to dip our toes in the salty water. Moose flipped into happy-dog mode the moment his paws touched the sand, and he rolled and ran and chased in innocent delight. We were pretty darn cheerful too. It felt good to have acted on instinct and followed our hearts to the seaside. We booked into our room and set up house. We were in one of their basic, little self-catering rooms, known as the “Bird Houses”, hidden among the ancient trees in the corner of the property, near the entrance. Ours was named “Loerie” and has everything a simple getaway cottage should. Just the bare essentials including a braai area. And peace and quiet. It also had that old Durban house smell to it- slightly damp and warm and pleasant. It smelt lightly of childhood holidays. We needed nothing more. The room was aptly named as that part of the property seemed to be a bird haven. 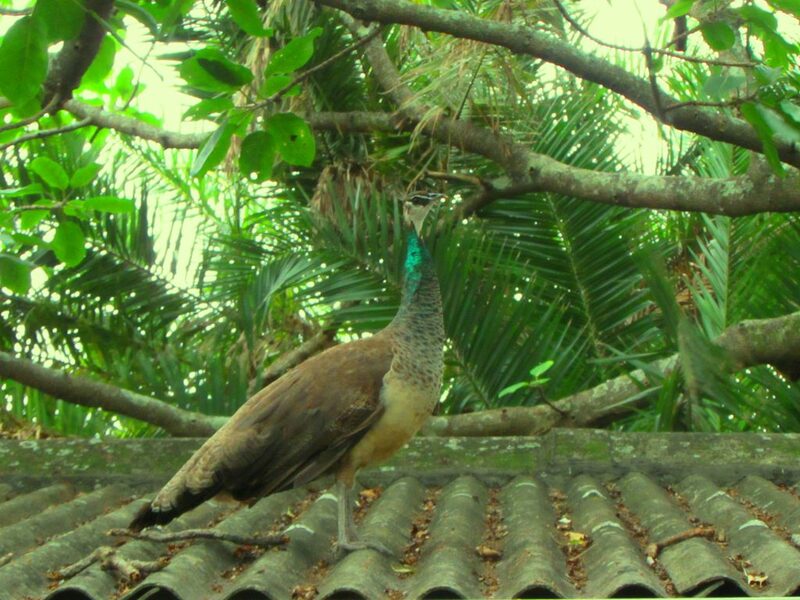 We woke in the morning to their chattering and tweeting in our leafy abode. The call of the resident Fish Eagles at the lagoon were also a welcome alarm call. Later that day we had the local peacock pair introduce themselves loudly as they called on our roof and in the trees, much to the frustration of Moose, who just wanted a closer look at his potential play-mates. 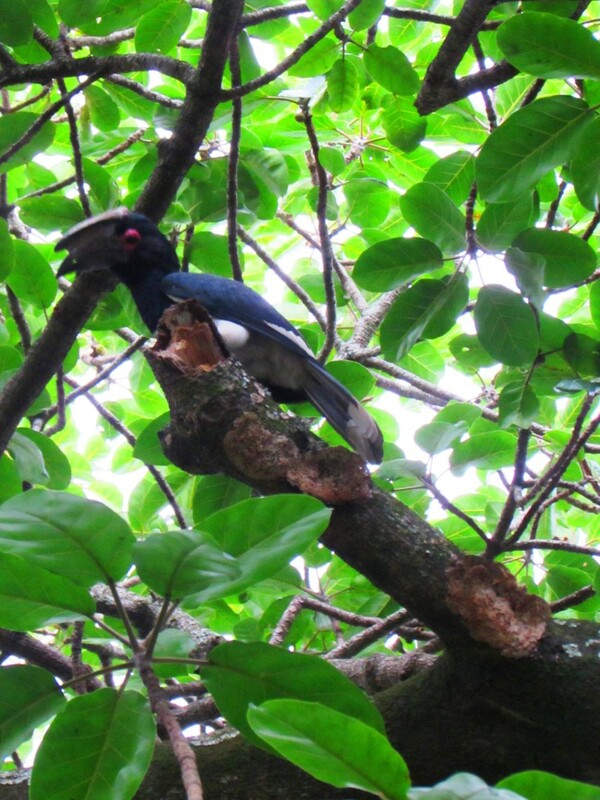 A few Trumpeter Hornbills were also busy in those trees and we watched the European Swallows swooping in the skies, recently back from their summer holiday abroad. We set off beach-ward to take advantage of the sunshine that greeted us. And thank goodness we did. Once on the beach we headed out of the breeze in the opposite direction to what we usually follow on our day visits there. 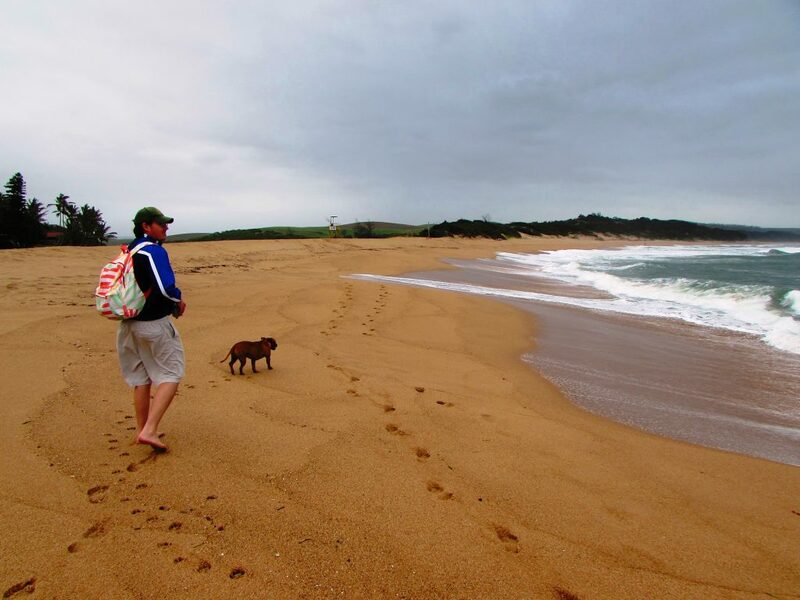 We went southwards, into new territory on lesser trodden beaches. It was a stunning, shiny, clear morning. Warm and perfect. 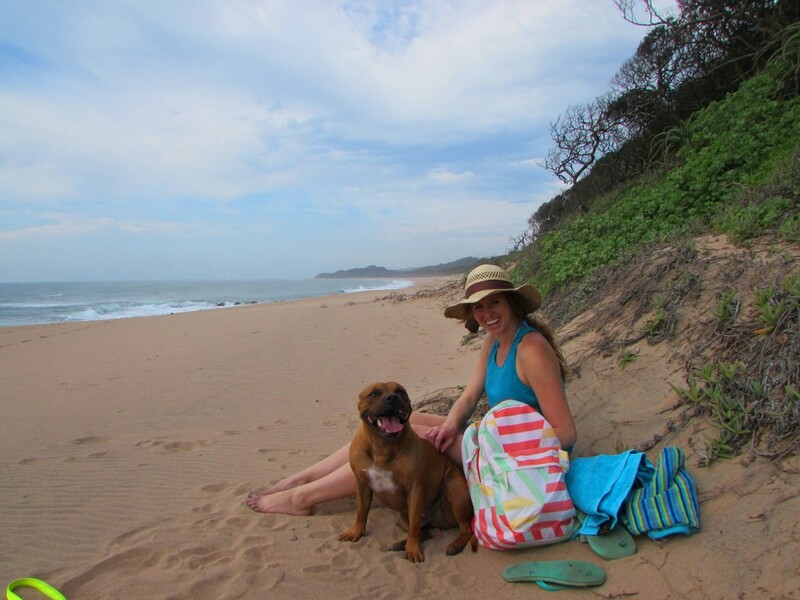 A few kilometres down the beach, after numerous rock explorations and “fetch that rock” games during our wander, we set up in a spot near the edge of the dunes and coastal forest on the edge of the beach. I had a brilliant swim in the sea and re-joined my boys for a bit of sun-sitting, when out of absolute nowhere, the weather had a dramatic mood swing. I have never witnessed a wind and weather change so visually and physically before. The calm sea suddenly “shook” before our eyes. It looked as if it was vibrating as the wind changed and pummeled it. As we watched the wind on that sea, we then felt it. The calmness of the day changed into something quite frantic. We were sand blasted and hurriedly collected our things haphazardly and ran! Between giggling at our situation and intermittent screaming because of the stinging on our legs, we ran back to where we had come from. 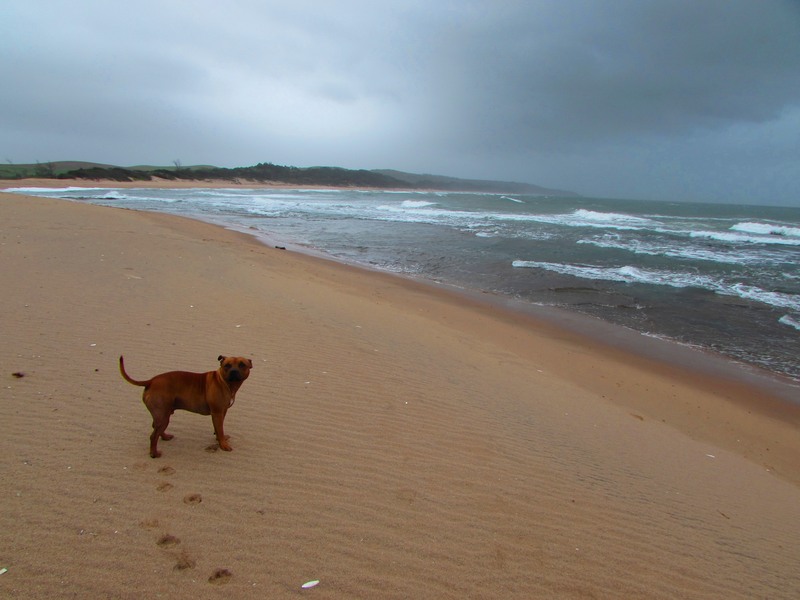 Moose was not impressed at this, he was the exact height to get the brunt of the sand blasts and his eyes were caked with mean sandiness by the time we made it to safer, tarmacked ground. We saw both sides of that two-faced seaside in just one morning. It was dramatically wonderful. Our afternoon turned into a snoozy one as the weather tried to make up its mind. We also explored the grounds at our accommodation and took a saunter around the campsite which was completely empty. The sites are massive and mostly unkempt, giving it an abandoned and character-full feel. It is the lushest and greenest campsite I’ve ever been in. Extremely basic though. Later, once the wind was a bit more settled we headed to the lagoon which we could access along a trail just below the restaurant deck. The contrast between lagoon life and beach life is great. Both have their natural appeal. The lagoon has its reeds and birdlife, calm waters and mesmerizing tranquility; and the seaside has its changeable nature and blissful offerings of sea and sand and freedom. We welcomed the late afternoon in with a cheery northwards beach stroll, being cut short however by a light drizzle. Graham reminds me that we didn’t mind much though as it was the perfect excuse to retreat into the beach bar, sip an ice cold beer and watch the drizzle draw dotted patterns on the beach sand. Who enjoyed the bar visit more is questionable though, so many people to say hello to and not enough time is Moose’s life long struggle. As we got back to our car and packed up I looked up and saw a massive darkness in the water in the unmistakable shape of a tail. We had hoped to see whales on our visit and there one was, playing in the angry sea. Graham didn’t believe me so I made us stay and watch the exact spot until the whale made itself known again. It did a few times by waving at us with an enormous flipper. The next morning we headed back home for a Sunday of relaxation. One of the joys of getting away to a destination close to home is that not much travel time is needed and you get more out of your weekend than if you traversed far and wide. A beach weekend, made just for three is something we need to do much more often. After all three is the best company, especially on an easy, spontaneous beach getaway. Thanks so much Character Stays. 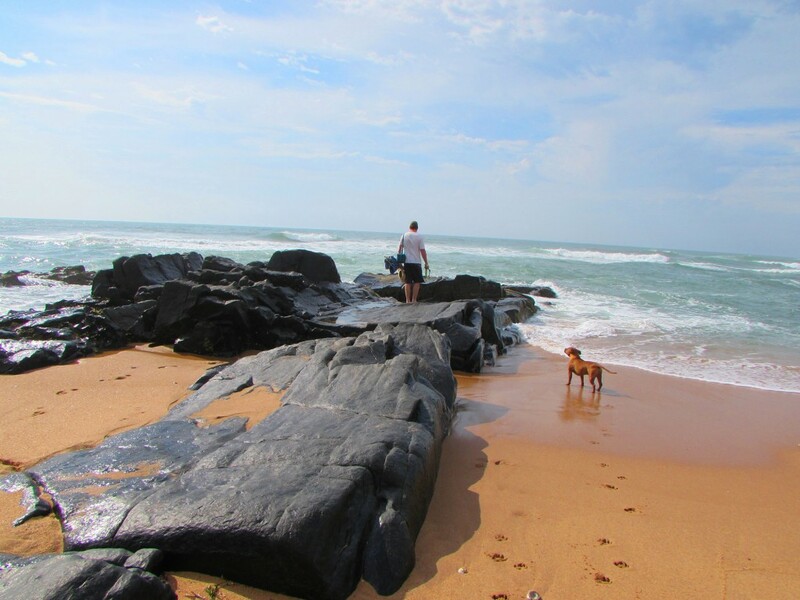 I hope a few people are inspired to get out and about in Durbs to see these lesser known spots. There’s so much beauty around us.